"Okay Kyuubi, you are to train with me, by fighting. If you ever run into any undesirable circumstances, I will force you back. Now, come at me with everything you have you worthless runt." Ryouga intentionally tried to pique anger in the young chunin, the new Akatsuki member, he wanted to get the fourth tail out fast. uh, why are trying to help? "Because it is my job to help you get up to four tails." Ryouga then launches an attack at him, running with all his speed aiming to punch him in the stomach and towards the wall. "Now, there is no way you can beat me unless you can get up to four tails, and the only way to do that is through fighting." "What's wrong? Having trouble fighting? Use that fox chakra of yours why don't you?" Ryouga punches again, moving behind him at incredible speeds and then launching a kick at the bottom of his spine to try to get him into the air. Damn, fox where the hell are you I really NEED YOU! you are lucky to hav me even help someone as weak as you, if you ever want use my power you better get much stronger than you are now or you can just forget it! Ryouga watches as the kyuubi chakra cloak forms around Ryoma. 'That is a start, but still not enough.' Ryouga then creates two lightning shadow clones for a total of three of him. One attacks Ryoma from the left, the other from the right, while he himself, the real one launches a kick straight down on Ryoma's head from his blind spot. The two clones speak to Ryoma, not wanting to give away the real Ryouga's position. "You need more than that to beat us boy." Ryouga's two lightning clones explode after being grabbed, sending a rather large shock from each direction down the Kyuubi's chakra towards Ryoma. He then himself moves down towards the ground, launching a punch at Ryoma's back. Ryouga watched as the bird flew in, the one with a Mangekyo Sharingan. As the rasengan was coming, he easilly dodged by jumping up over it. 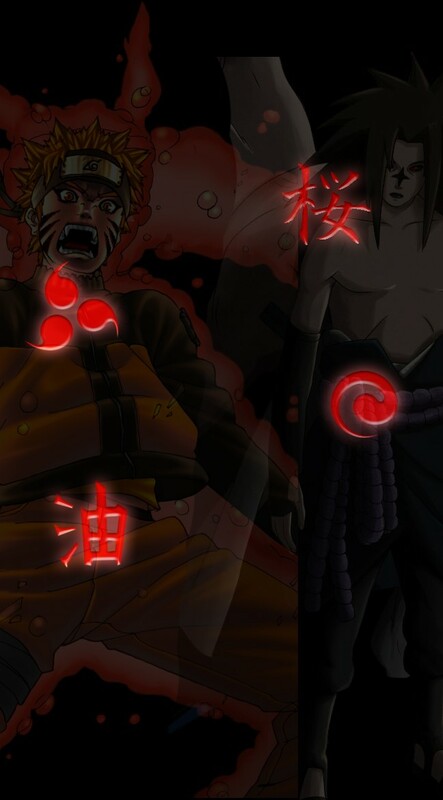 His speed, being Kage-leve was too great to be hit by a chuunin, even if they did have the kyuubi. 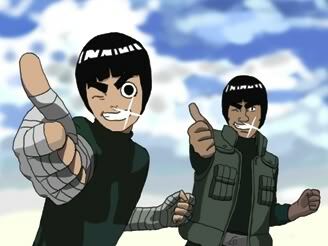 He then threw three kunai, followed by six shuriken, all within what seemed like just a second. The bird then flies off to make sure the defenses are strong enough.